Keep rodents from gaining access to your home by sealing openings where conduit, air conditioning hoses, pipes, etc. enter the structure. Don’t blame rats or mice for doing what we all do incessantly ourselves… searching for something to eat! It’s a major preoccupation for all of us, and rodents are no different. As it happens, they find their perpetual food search particularly fruitful (or, cheeseful, breadful, or seedful, as the case may be) in and around wherever people live. Each night, they celebrate humankind’s sloppiness by scouring the floors for the veritable banquet we leave behind. Having caught on to their shenanigans, you’re here about some natural rat repellent, or mouse repellent, right? Read on to learn how to effectively end their unauthorized party—at least at your house. Natural rat repellent is a good idea, but two key things have to be addressed for your problem to be truly solved: What’s attracting them? And, how are they getting in? Without cleaning up the sources of food that make your home appealing to them, they will continue to use your home and actively seek entry. And, without finding the entrances they’re using—which may be numerous, and are likely smaller than you imagine—they’ll consider themselves welcome to. Some of the food attracting them probably is a result of things like crumbs under the toaster, on the table, and on the floor. Trash that isn’t taken out promptly or stored securely in a lidded receptacle often contributes to the problem. 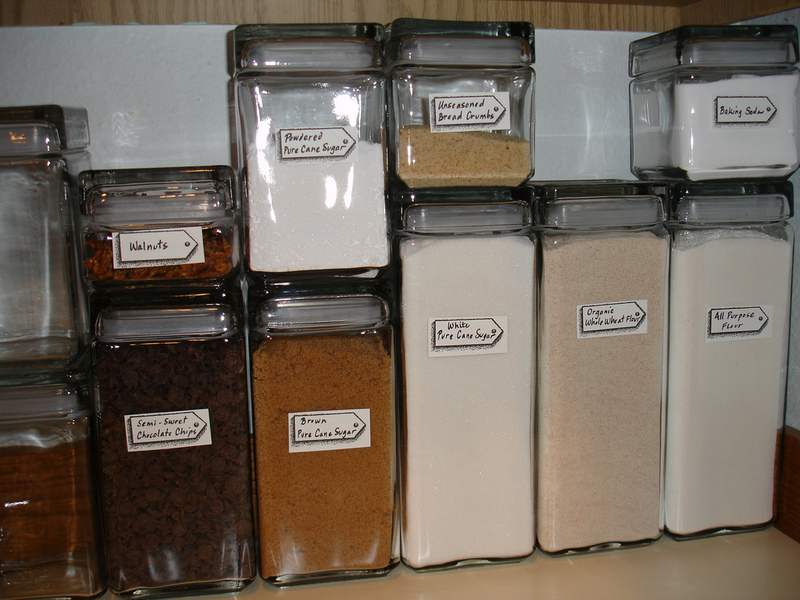 Once rodents are inside, they’re likely to find their way into food stored in your pantry, especially since most food stored here is not in rodent proof containers. An effective way to avoid attracting rodents is to store food items in tightly sealed glass or metal containers. 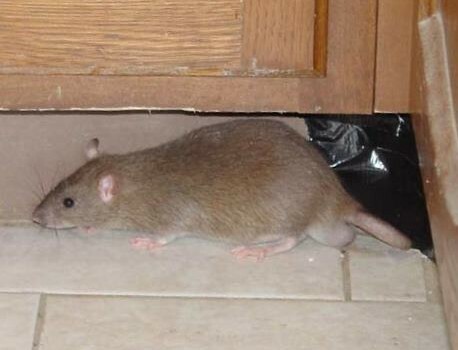 If you do find yourself dealing with rodent intrusions, take steps to reduce what is available to them and place food that is stored in paper boxes, plastic bags or similarly contained food into sturdy containers made of glass or metal. Make sure to examine the pantry and cabinets including the back of the shelves while cleaning up crumbs and spillage as well as looking for evidence of packaging of foodstuffs that are being raided (as well as other evidence of rodent activity). But it’s not all a matter of stuff you leave lying around. We can spread the blame for stuff that tempts them, but you’ll still need to be the one to make changes. Pets! They may be helping to keep your home tidy by eating their meals outside instead of in your kitchen, but those dishes full of pet food on the deck or patio send an olfactory welcome sign to rats, mice, and other wildlife. Once they arrive, they look for ways into your home to see what else is being served. Solve this problem by only putting pet food out when your pets are right there to eat it, and by picking up their dishes once they walk away. Teenagers! Or Toddlers! Both could be leaving abundant (to a rodent anyway) food lying around. In fact, anyone in the house could be contributing to the problem, depending on where they are eating (or not eating) and discarding their meals and snacks. It will be important to reduce and eliminate access rodents have to food as much as you possibly can while you are taking steps to eliminate entry points. Rats and mice don’t need much of an opening to find their way in—the size of a quarter, less for mice, is all it takes. Look carefully around your home’s foundation, vents, electrical conduits, and service pipes and lines entering your home. 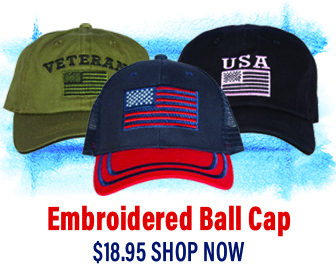 Seal up any gap with hardware cloth, screening, or copper mesh. Use caulking and foam insulation in combination with the rodent proof materials above; otherwise, they’ll chew their way back in. Peppermint oil is a natural repellant for not only rodents but for many insects too. You don’t need harsh chemicals to send rats packing and get rid of mice. What you want is peppermint oil, a natural rodent repellant, which you can find at a grocery store or health food store. Its scent is strong, and they dislike it. 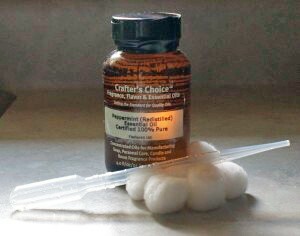 Put several drops each on a number of cotton balls, and place these strategically around any entryways you find. The peppermint scent is strong enough to mask food scents, too, so for ongoing natural protection against future interlopers, try adding peppermint plants around your home’s perimeter. Keep in mind, though… your best way to defense against rats and mice is your vigilance about keeping your food, your pets’ food, and trash cleaned up and properly stored. With virtually nothing left to tempt them, rats and mice will look for a home offering easier pickings.